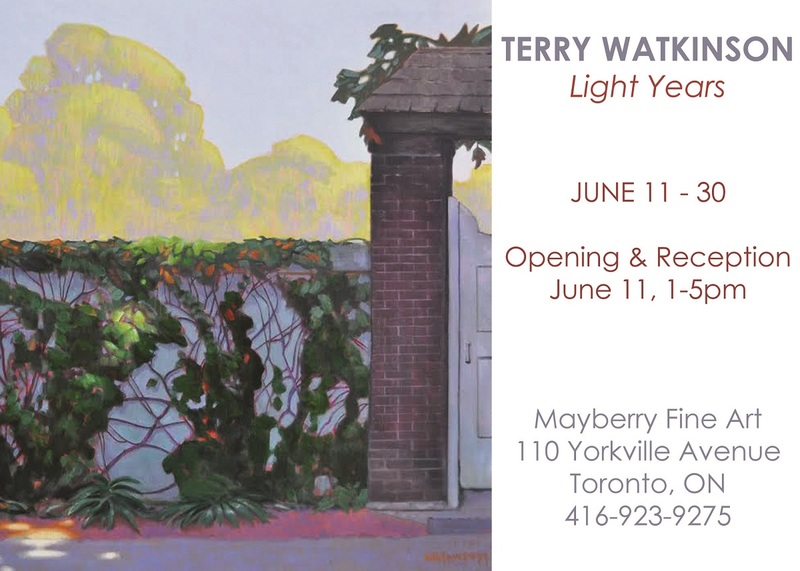 Terry Watkinson is exhibiting his latest work, Light Years, at Mayberry Fine Art from June 11th – 30th. 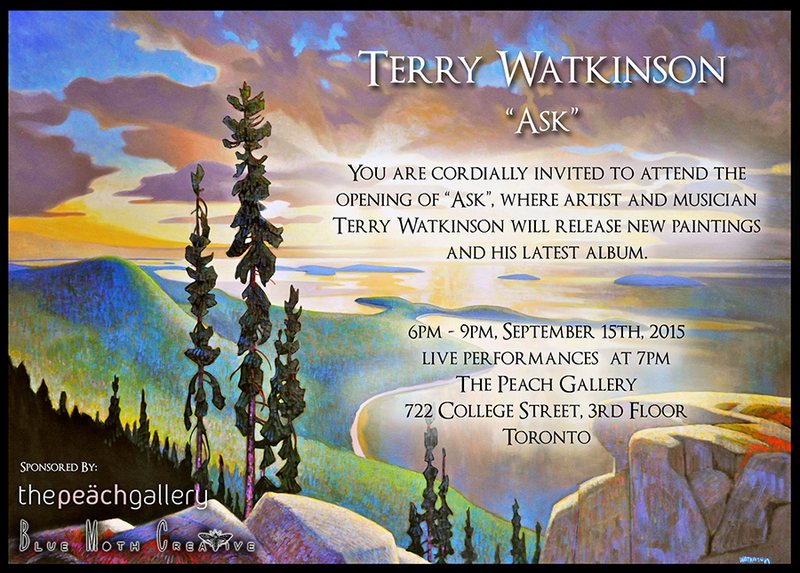 On Tuesday September 15th, 2015 artist and painter Terry Watkinson will release new paintings as well as his latest album, “Ask” at The Peach Gallery in Toronto. The showing will begin at 6pm with live performances at 7pm. 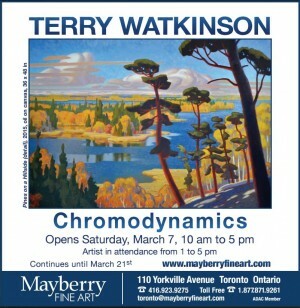 Saturday November 8th – paintings by Terry Watkinson. 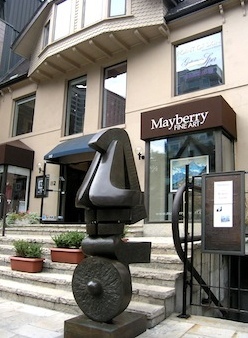 The artist will be present from 1 – 5 pm. Show continues until March 21st. 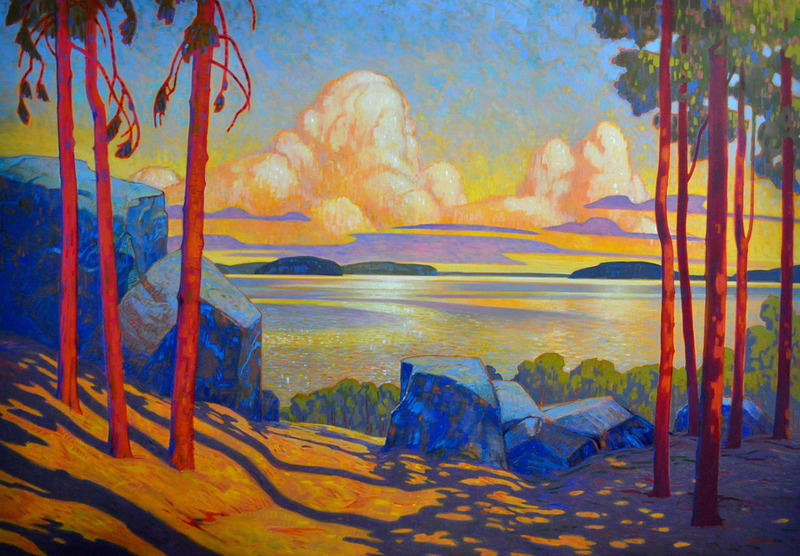 Saturday November 8th – Six new paintings by Terry Watkinson. The artist will be present Saturday afternoon. Coming March 2015, a one-man show by Terry Watkinson.